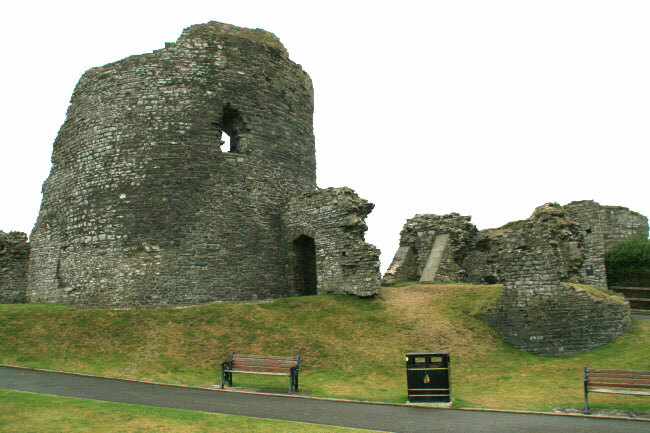 It dates from 1277, and was constructed a mile away from the site of the first castle which was started in 1110 and then was destroyed twice and rebuilt three times. 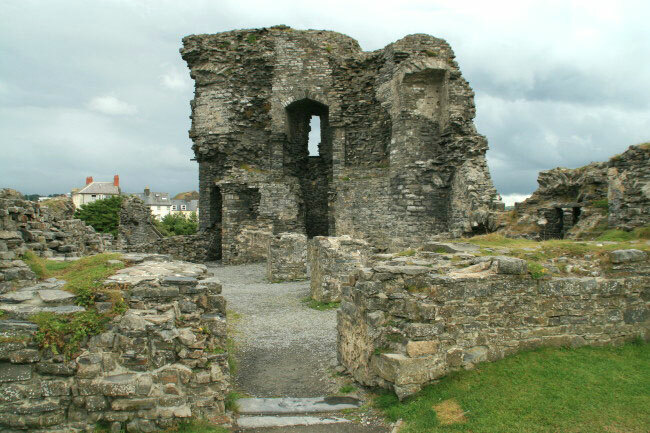 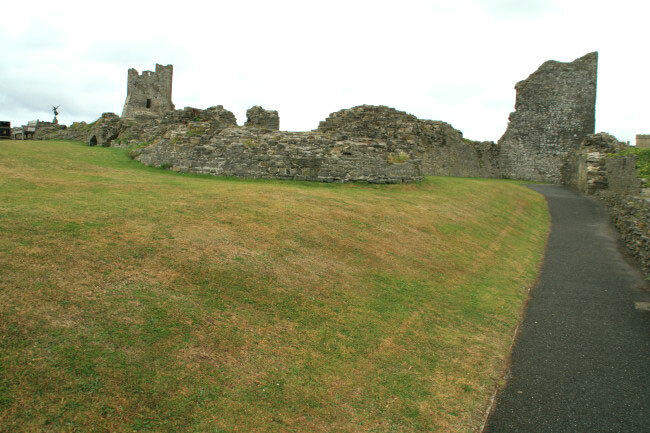 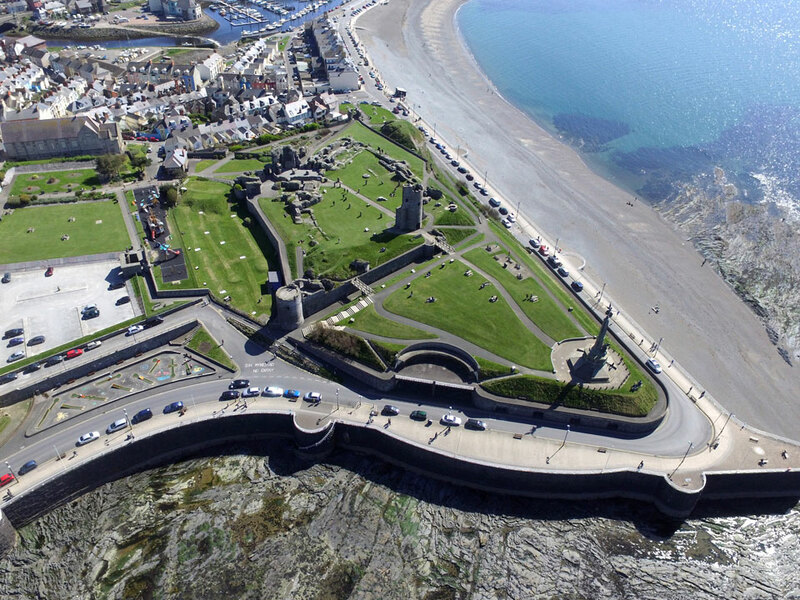 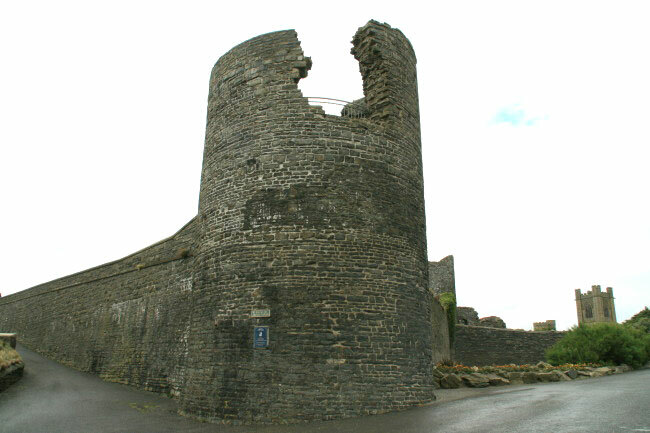 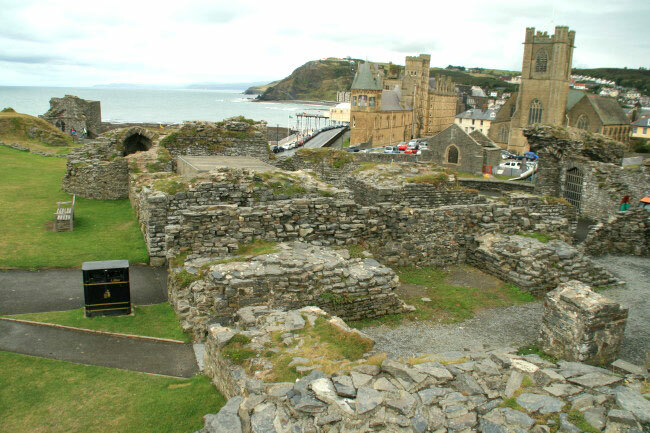 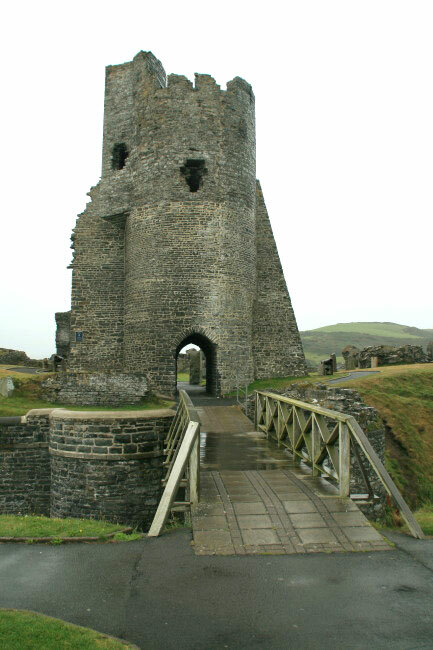 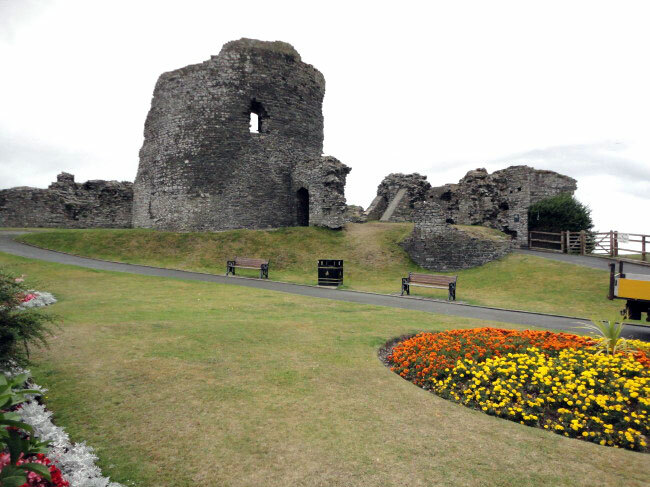 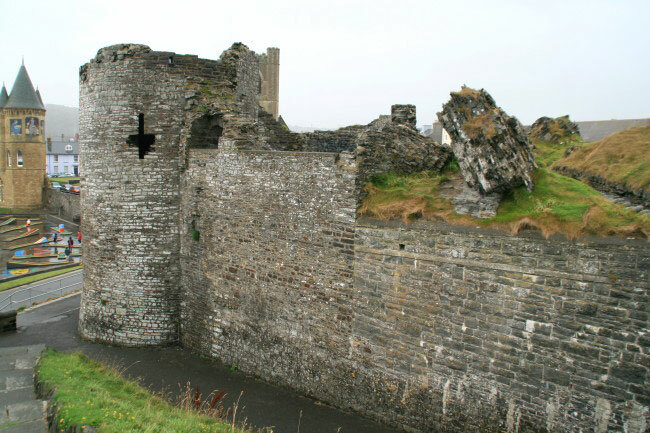 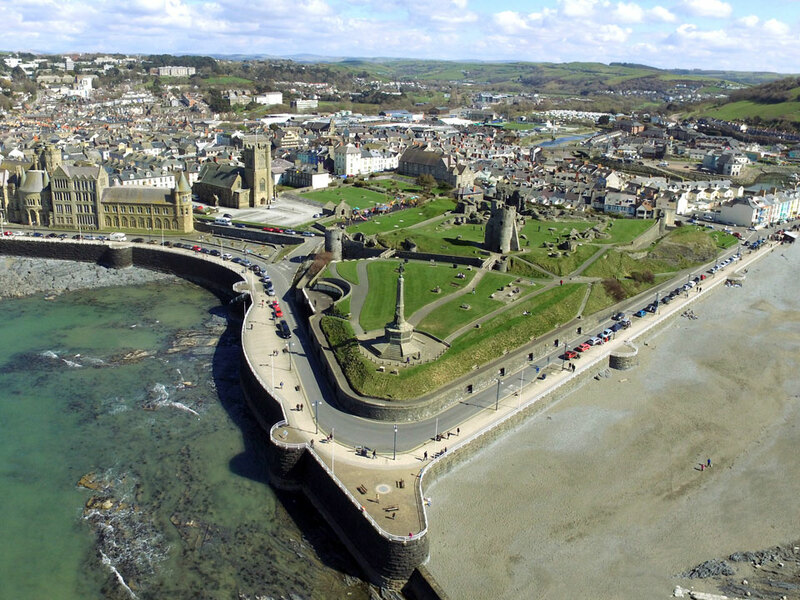 The new concentric design castle was captured by the Welsh in 1282 before the defences were complete and again in 1403. 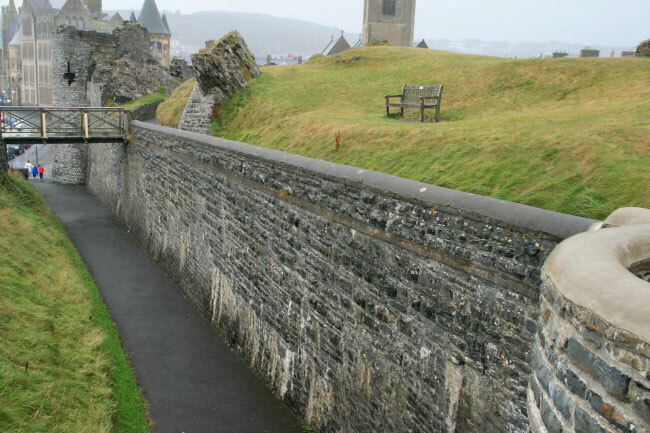 In the 15th century it was of no military value and was allowed to decay, partly caused by the sea. 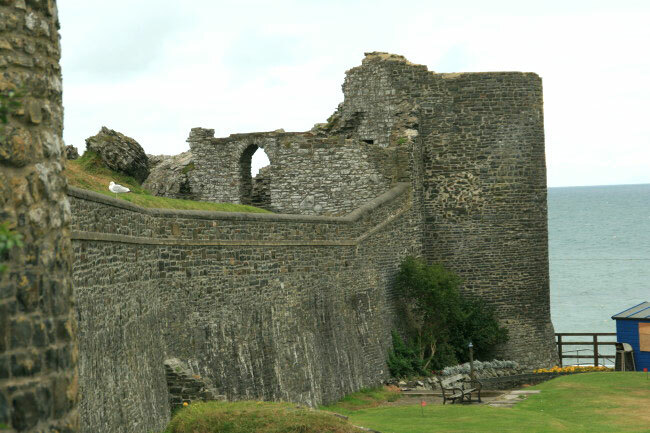 It was fortified in the Civil War and in 1649 it was slighted after being captured by Parliamentary forces. 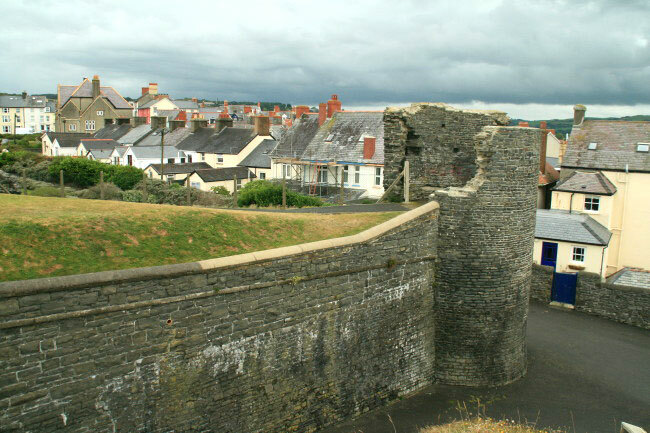 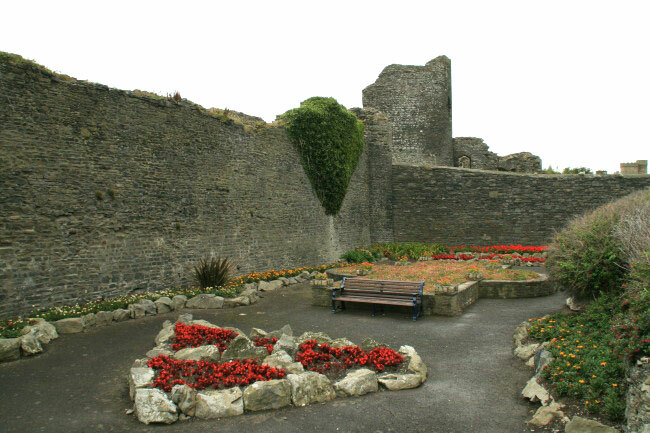 The town was also protected by the addition of strong walls with three gates, but these were damaged in th Civel War and were all removed in the 19th century.